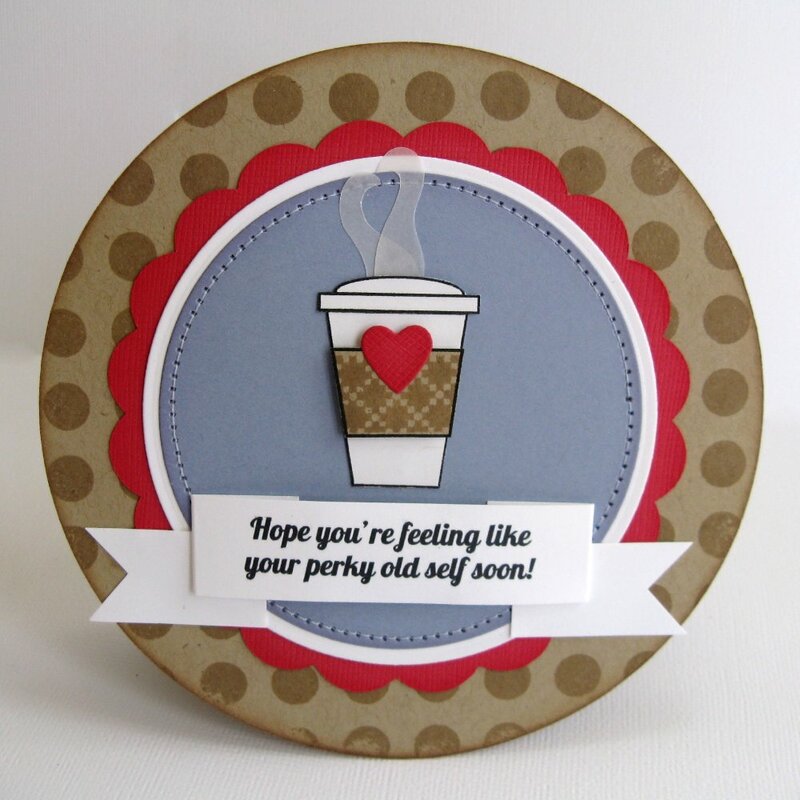 I was excited to finally play with this darling coffee image from Papertrey Ink's Heart-2-Heart #1 stamp set. I knew I wanted to use them for get well cards so I created my own custom sentiment on my computer using the popular Lobster font. I was having the hardest time deciding on which color scheme I liked best so in the end I created them both. :) I added a little steam by hand cutting some vellum scraps. Oh how cute!!! 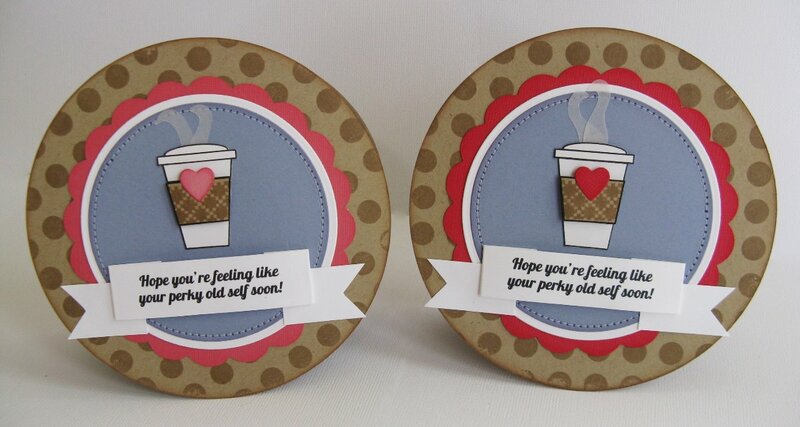 If I received one of these cute cards when I was feeling sick, this sure would perk me right up!!! I love it and I love that you created your own steam out of vellum .... brilliant!!! Awesome sentiment too! 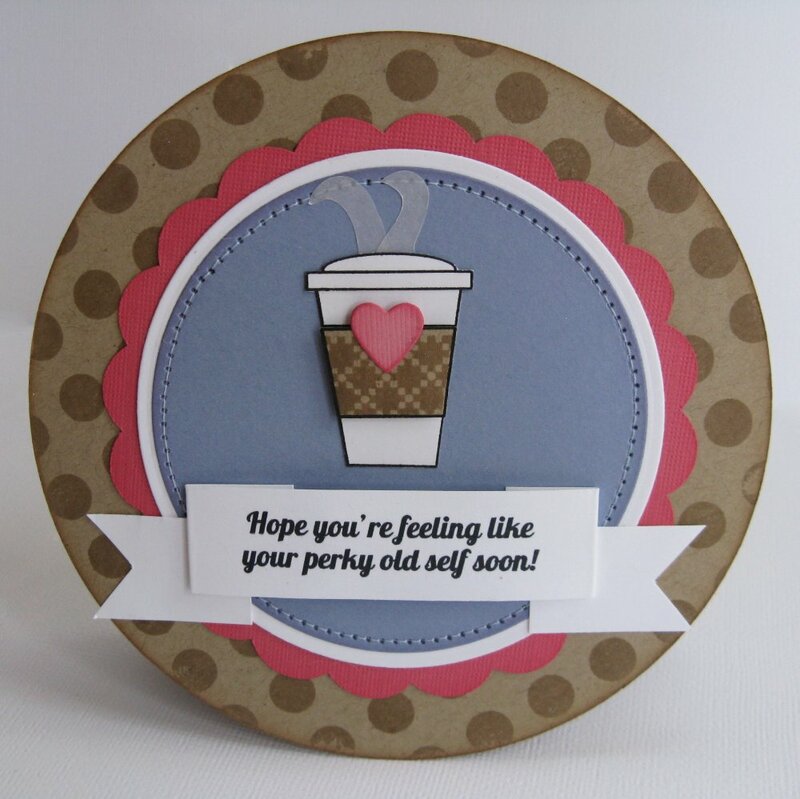 Love the "perky" idea!! Great get well card! LOVE, love, love your vellum steam!